Awesome support from municipalities of all sizes and regions in Ontario! Thank you. We’ll add more as we receive them. Council is urging the Province of Ontario to reinstate adequate and appropriate funding for local libraries, increasing each year going forward in line with the consumer price index. The Ontario Public Library Association (OPLA) is asking the province to return library funding to pre-1996 levels. That year, the province allocated $64 million per year, apportioned by population. Then they cut the funding down to $32 million. It’s time for the province to turn the page on library funding. 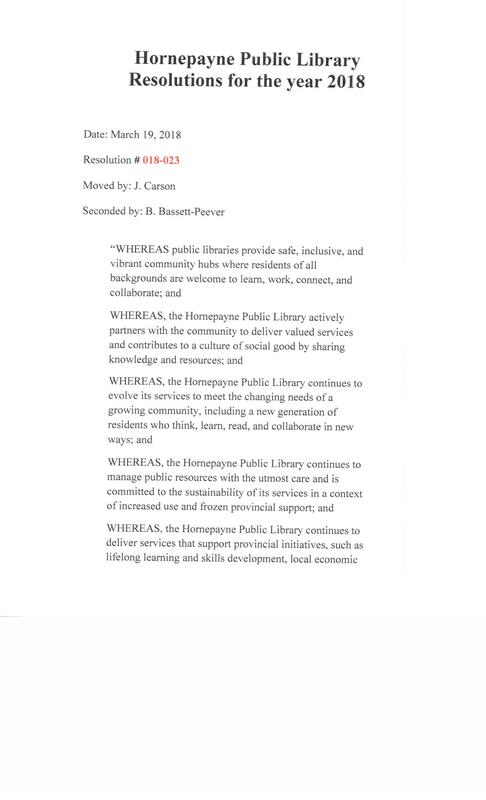 At least, that’s the consensus from the Ontario Library Association (OLA) and the Federation of Ontario Public Libraries (FOPL), who are asking for more provincial funding of libraries. They have sent letters to most municipalities – including Orillia – looking for support. On Monday night, council committee voted to support the pitch to the province. The Federation of Ontario Public Libraries and the Ontario Library Association have embarked on a campaign to get increased funding from the provincial government. Orangeville’s Chief Librarian Darla Fraser says the call for funding has been supported by Dufferin-Caledon MPP Sylvia Jones and Orangeville council. We know of many more in process!